If the LDS are right about who God is, then God and His word are wrong. In the Bible we have doctrines that are expressed by Jesus Himself, The one and only God incarnate, none ever before Him and none after Him anywhere or anytime. These doctrines are repeated and expounded upon by the Apostles in the Epistles of the New Covenant recorded in the New Testament. These doctrines are exclusive claims to actual truths. When someone else confesses a doctrine that asserts something other than what has already been established by the one true, immutable, and infallible God, then our only option is to reject their assertion as heresy. Let’s look at some of their doctrines that conflict with Biblical doctrines, and are mutually exclusive in their claims. Christians claim there is only one true God. There has never been any other god besides Him. He has always existed in trinity. He has never not existed. We also claim that if you don’t believe in Him as explained here, as one being in three personages, that you can not be called part of the Church. 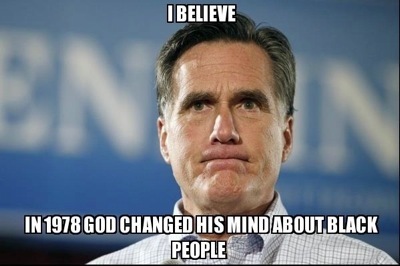 Because, you have put your faith in a different god. Obviously, worshipping a different god makes you not a Christian. As the Prophet Joseph Smith said, “God himself was once as we are now, and is an exalted man, and sits enthroned in yonder heavens! That is the great secret” (TPJS, p. 345). Thus, the Father became the Father at some time before “the beginning” as humans know it, by experiencing a mortality similar to that experienced on earth. There has been speculation among some Latter-day Saints on the implications of this doctrine, but nothing has been revealed to the Church about conditions before the “beginning” as mortals know it. 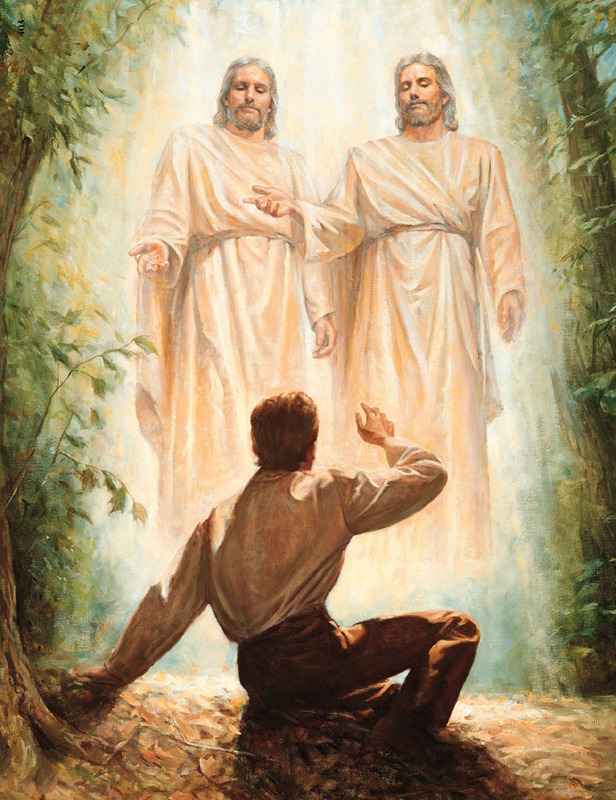 The important points of the doctrine for Latter-day Saints are that Gods and humans are the same species of being, but at different stages of development in a divine continuum, and that the heavenly Father and Mother are the heavenly pattern, model, and example of what mortals can become through obedience to the gospel (see Mother in Heaven). Knowing that they are the literal offspring of Heavenly Parents and that they can become like those parents through the gospel of Jesus Christ is a wellspring of religious motivation. With God as the literal Father and with humans having the capacity to become like him, the basic religious questions “Where did I come from?,” “Why am I here?,” and What is my destiny?” are fundamentally answered. Keep in mind that our LDS friends co-opt many of our words. They mean something completely different to them. When we talk of God the Father or Jesus we are talking about a very different God than they are. They might believe we are talking about the same god, but they have better and more true information than we do. The gospel to them is not the same things we think of. Their gospel is a bunch of laws, rules, do’s and don’ts, from their book Doctrine and Covenants. Our understanding comes from the Biblical definition. The word, “gospel” means, “good message or news.” When we think of the gospel of Jesus, we understand it to mean the penal substitutionary atonement wrought by Christ God Himself for the salvation of His sovereignly elected saints to bring glory to His name. In Christianity the work has been done by Jesus. He paid for our sins. By repenting and believing in Him, his work is imputed to us. It is done, done, done. We do good works because of our new affections and desires born from a regenerated spirit as born again believers. with this article on only of few of the many differences, I hope it is obvious that the LDS are not Christian. They are a polytheistic Arian cult, created by the false prophet Joseph Smith. 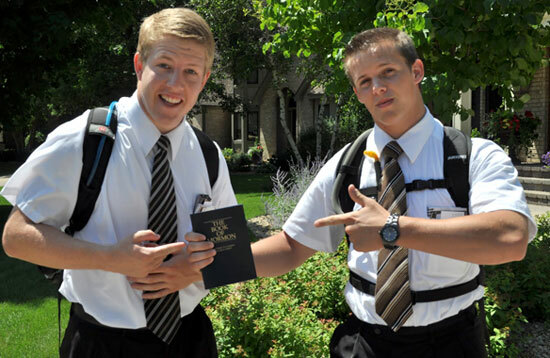 Mormons believe that salvation comes through Joseph Smith!!! No, I’m not kidding, it is on this website. What is the difference between the Mormon gospel and the gospel of the true Jesus? They only had one thing right, and that was the meaning of the word, “gospel.” Too bad they got everything else wrong. The Greek word, “εὐαγγέλιον” transliterated is evangelion. It is where we get our English word, “evangelist” in English we use the word, “gospel” which was an English rendering of a Latin expression meaning, “God’s spell” or “God’s story.” εὐαγγέλιον means, “good news.” So what is the good news of Jesus Christ? Well according to the Mormons it is that everyone lives on after death while some go to one of the three forms of Mormon afterlife determined by their own works. So basically you go where your works have earned you. So if you were an uber goody-two-shoes Mormon and followed all the rules you might become an exalted man and one day even a god. You would get to go to the celestial kingdom until you became a god and had your own solar-system to rule. If you only were a marginal Mormon you get to go to the terrestial kingdom with all the slackers who were basically good. Of course if you weren’t a Mormon at all you would have to go to the telestial kingdom and work your way up. If a human judge would be offended how much more would a perfectly and infinitely holy and righteous God be offended? There is no way to work your way in to Heaven according to the Bible. 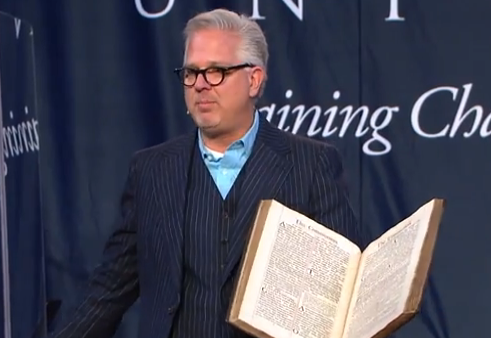 Anyone that has honestly read it would tell you that, but the Bible isn’t good enough for the Mormons… oh no! They have to add the Book of Mormon, Pearl of Great Price, and the Doctrine and Covenants. You see if you are going to try to deceive the world you really have to convolute the truth and by muddying the waters they can do that. So what is the difference between real Christianity and Mormonism’s gospel? What is the difference between their Jesus and ours? Well it is quite simple you see Jesus is God. Not a god, but the God. Jesus paid the penalty for the sins of all who He would save. They couldn’t pay their penalty. Just one deceitful or lustful thought is enough to warrant an eternity in Hell experiencing the wrath of God being poured out on you for ever. God would be just and right to do so as He is the perfection of goodness, justice, and righteousness. A person who doesn’t see how insidious and sinful their sin is in contrast to the holiness of God will never understand their inability. Of course they think they can earn it because they have brought God down to being at one time a man who lived on a planet orbiting a star named Kolob and who was a sinner and they have elevated man to a being that could earn of his own works godhood! What complete and utter nonsense and heresy! Jesus saves us by His grace (unmerited favor) He paid our penalty and imputed His righteousness to those He would save. They are seen as perfectly righteous and holy upon judgment because they are in Christ Jesus through God granted faith. So our deceived Mormon friends and family are destined for Hell. What can we do about it? How can we help them? Over many years I have tried several different methods of reaching them. It seems impossible at times, but we know in regards to salvation anything is possible with God. I would recommend praying for them. I would also recommend being their friends while gently sharing the differences you have. I would also recommend that you get offended when they say they are Christians. Let them see the joy you have in Christ. Let them see your liberty to love and your light heart. Let them see that you are at peace with God and assured of your salvation. They are burdened with upholding so many rules and rituals that they are always about to crack. They never can know if they have done enough. Always tell them the truth about Jesus. Don’t get into a shouting match with them. Don’t go into a discussion without first arming yourself with knowledge of the word. 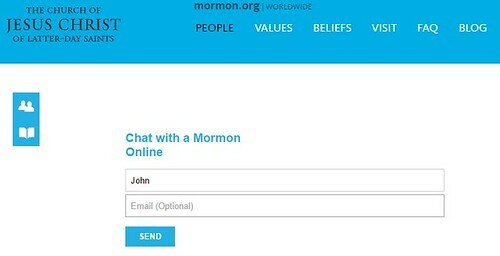 If they throw the, “You’re anti-Mormon” card just tell them you are not and ask them about the, “First Vision.” It is the one where Joseph Smith supposedly sees God the Father and Jesus both in bodily form and they tell him that all of the churches are false and their teachings are abominations and to join none of them. Then explain how offensive that is to you. Explain that they are just as much anti-Christian as they claim we are anti-mormon.